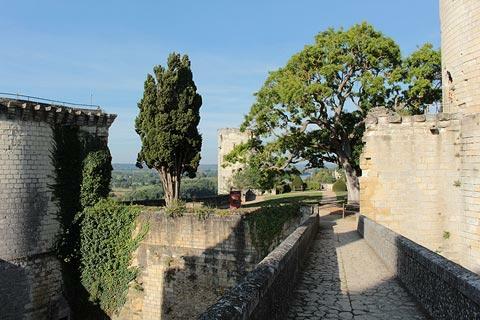 Chateau Chinon is a large castle that dominates the town of Chinon, and extends along a raised plateau above the river Vienne, in France's Loire Valley. 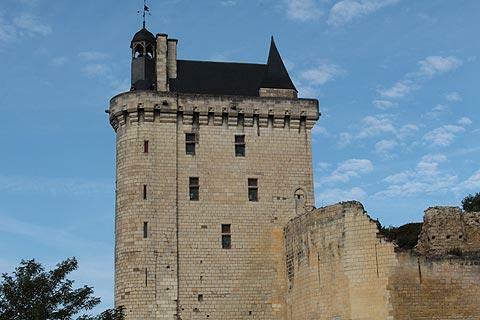 The castle at Chinon is rich in history, and dates back more than 1000 years, at which time the original castle was built on the site of an even earlier Gallo-Roman fort. The castle also played a key role in several important moments in French history, adding to the interest of a visit. 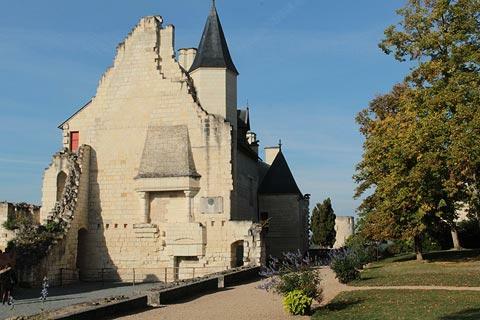 Unlike many of the chateaux in the Loire valley, the castle at Chinon was not rebuilt in the renaissance and preserves many of its medieval characteristics including extensive defensive walls. As a result there are less magnificent interiors and remarkable gardens here than at some of the famous Loire castles such as Chateau de Chenonceau and Chateau de Villandry, but Chateau de Chinon has well preserved towers and accommodation as well as splendid views across the town of Chinon and the Vienne river. There is also an impressive sequence of audio-visual presentations in the castle and several recreations of medieval weapons in the grounds. 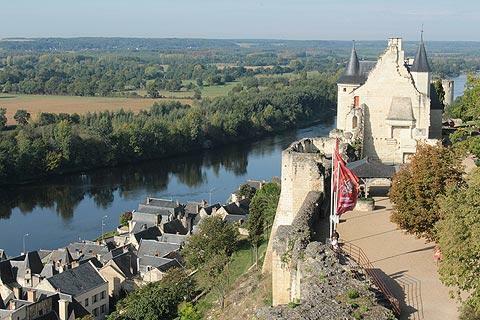 The English King Henry II built much of Chinon castle in the 12th century to serve as an important regional control centre: he was also the Count of Anjou. 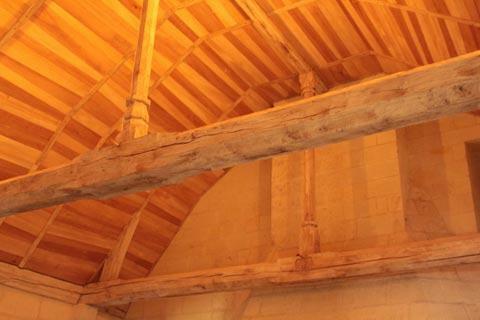 Including the defensive walls it is a very extensive building, almost 500 metres long and 100 metres wide, with the interior divided into three parts: the Fort Saint-Georges, the Chateau de Milieu and the Fort du Coudray. The Fort de Coudray was further enhanced in the 13th century with the addition of a cylindrical keep after a long siege by French King Philippe Auguste had regained the territory for the French. It is thought that Richard the Lionheart died in Chinon castle in 1199. On March 8, 1429 Joan of Arc came here to persuade Charles VII that it was possible to change the fortunes in favour of the French during the Hundred Years War. 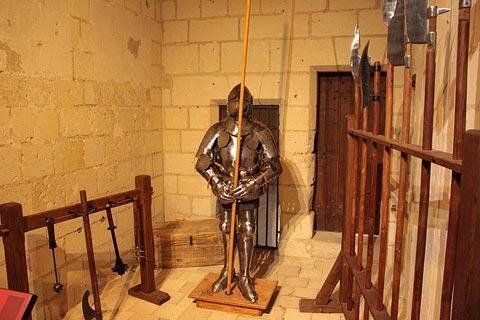 The meeting with Joan of Arc at the castle is considered to be the turning point in the fortunes of France in medieval times: the meeting resulted in the King retaking Orléans and subsequently removing the English from France. In the 16th century the castle was used as a prison but was then abandoned, a state that was to last for two hundred years. 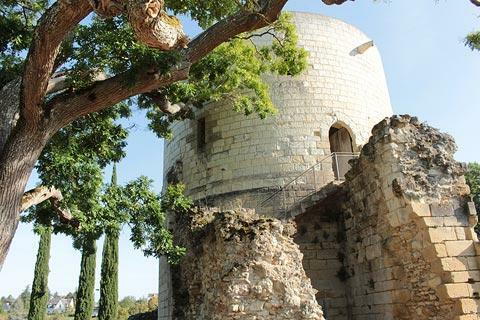 The revival in the fortunes of Chateau Chinon started with Napoleon III, who renovated part of the castle, and its subsequent recognition as a French historic monument in 1840. The transformation continued in the 20th century as the importance of the castle was recognised - it is now in the control of Chinon town and a major regional visitor attraction, although we can only try to imagine what the castle was like at in its heyday, since a great deal of the original castle buildings are no longer standing. 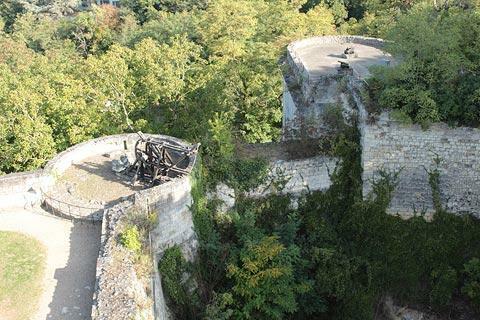 There are three separate castles at Chinon: Fort Coudray, the Middle Castle and Fort Saint George. Each castle was surrounded by its own fortifications and ditches, and the three parts are still clearly distinct. 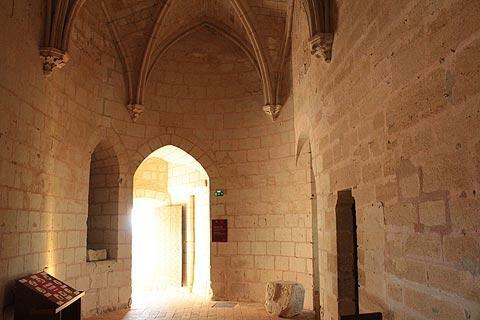 The castle is entered by the Fort of Saint George, the easternmost of the three parts to the castle. This fort was built by Henry II as a base for administration and is still used for the same purpose: it now provides access to the main castle. This building also holds the Joan of Arc Museum, dedicated to explaining the actions taken by Joan of Arc. The Middle Castle includes the royal accommodation, the clocktower and two other towers. This part of the castle was rebuilt in the 14th century although only the southern part of the royal quarters remains today. The rooms that were once the royal accommodation which now show presentations about the people that shaped the history of castle over the centuries. Two of the towers are at the northern side of the castle and both were built for defensive purposes. 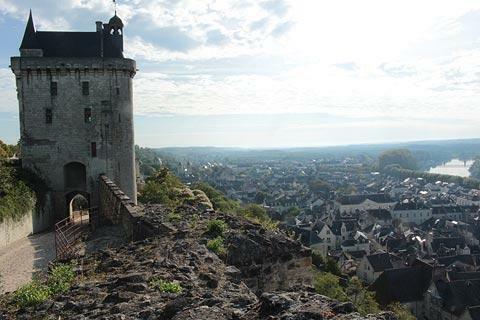 The main tower in the Middle Castle is the clocktower and is the most substantial: it is also the main tower providing access to the castle, and used for various exhibitions as well as having a parapet at the top with lovely views across Chinon. 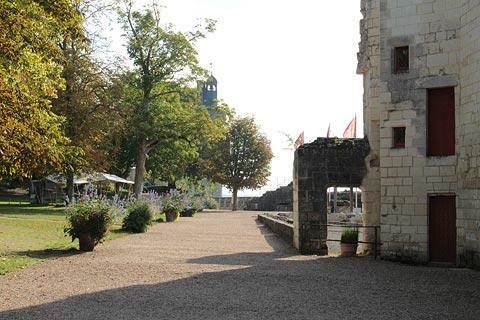 Beyond the central part of the castle you reach the Coudray Fort, which also has three towers. The main tower here was used as a prison and in the tower you can see the graffiti that was carved in the stone walls by Templar knights awaiting their executions, after the templars were suppressed in the early 14th century. The castle is open all year except January 1 and December 25, from 9:30 until 17:00 in winter and 9:30 until 19:00 in summer. Entrance costs around 9 euros. 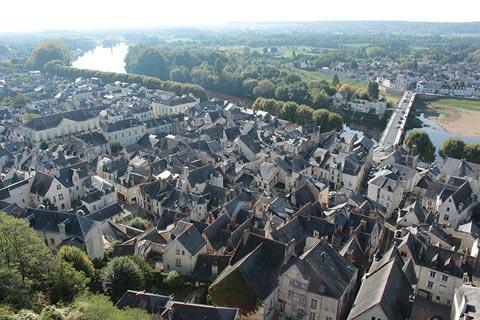 Of course, you will also want to explore the town of Chinon while you are here: the medieval part of Chinon, below the castle walls, is the most interesting part of the town and can be reached by lift from the castle, or along a steep path. 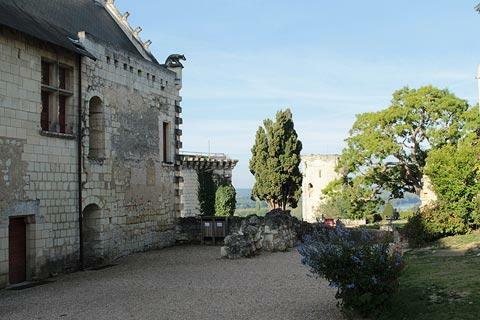 Among the other castles you can visit close to Chateau de Chinon are those at Chateau de Rivau, Chateau Azay le Rideau and Chateau de Saumur. See more Loire Valley castles.